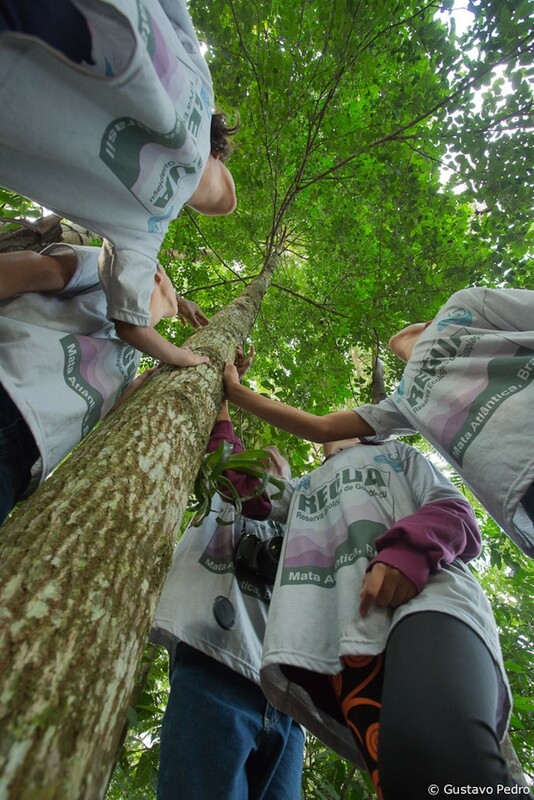 The Young Rangers programme run by REGUA in Brazil, wants to raise children’s awareness on the conservation of the Atlantic Forest in their area. The aim of the Young Rangers programme is to remind the children that not only do they live in a precious environment but they are responsible for its care. Youngsters are the future guardians of our forests! The children’s visits to REGUA (Reserva Ecológica Guapi Assu) provide opportunities for lessons on the environment and on social development. The reforestation programme, avifauna reintroductions and the restoration of the wetlands are used as best practice examples in the care of the environment. These classes combine performance and creative arts together with practical outdoor activities such as walks in the forest accompanied by rangers pointing out items of interest. They also assist with seed collecting, simple nursery tasks and with occasional tree planting. Since the Young Rangers programme was started in 2004, it has been very successful. The Young Rangers love it and every year more children want to join the programme. It is a great way to bring nature into the community and help the local children understand just how important their part of the world is. Read more about REGUA and the Puro Coffee Brazil Rainforest Reserve.